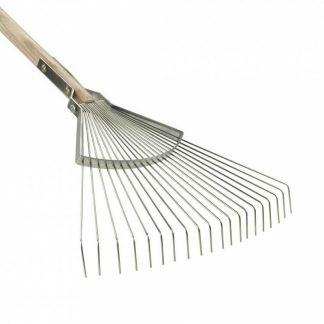 Sneeboer make hand crafted tools that will last a life time and this long handled leaf rake is no exception. 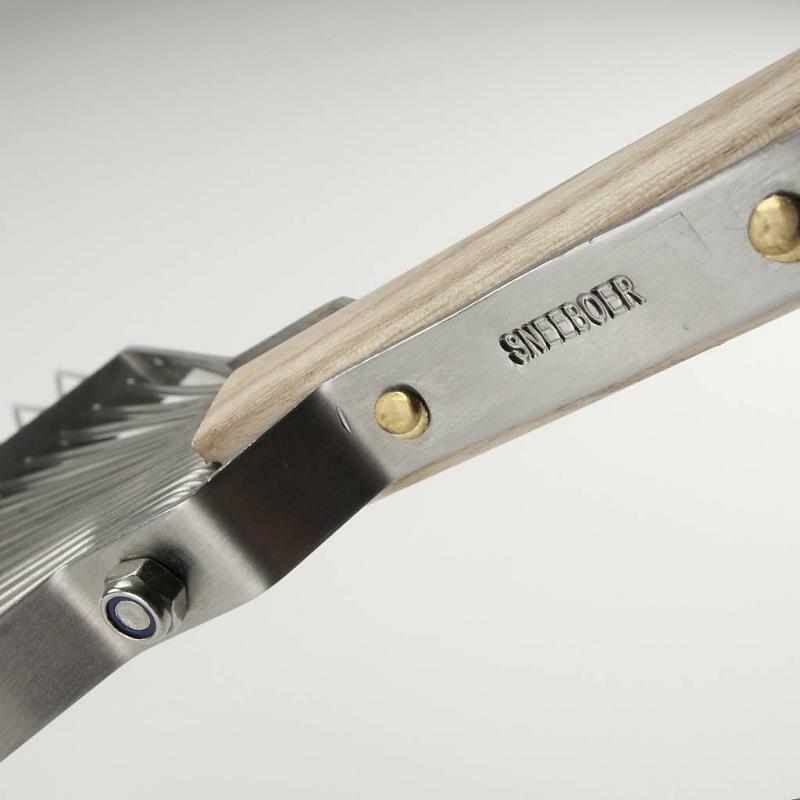 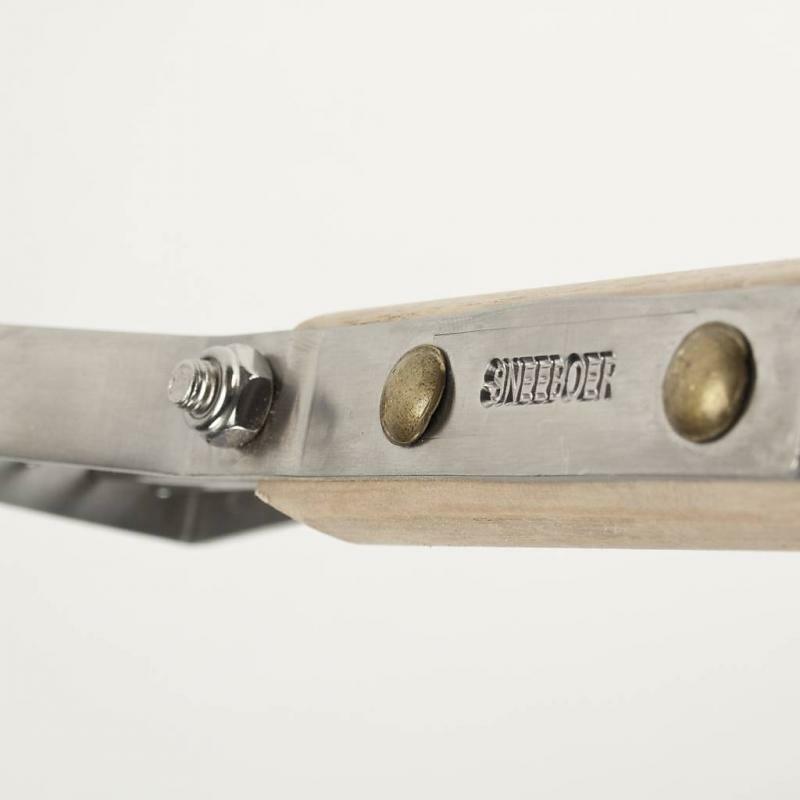 Hand forged in the Netherlands, Sneeboer have been making tools for over one hundred years. Now run by the fourth generation of the family, they are using the same traditional methods, coupled with modern improvements, that have make these tools stand the test of time. 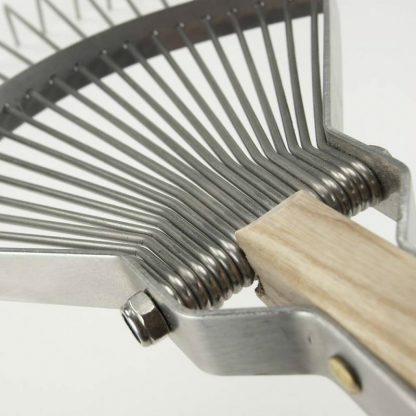 These leaf rakes come into their own with autumn chores. Available in two sizes, the larger one is good for clearing large swathes of leaves from across lawns and drives, whilst the smaller headed version makes clearing around shrubs in the border a breeze. 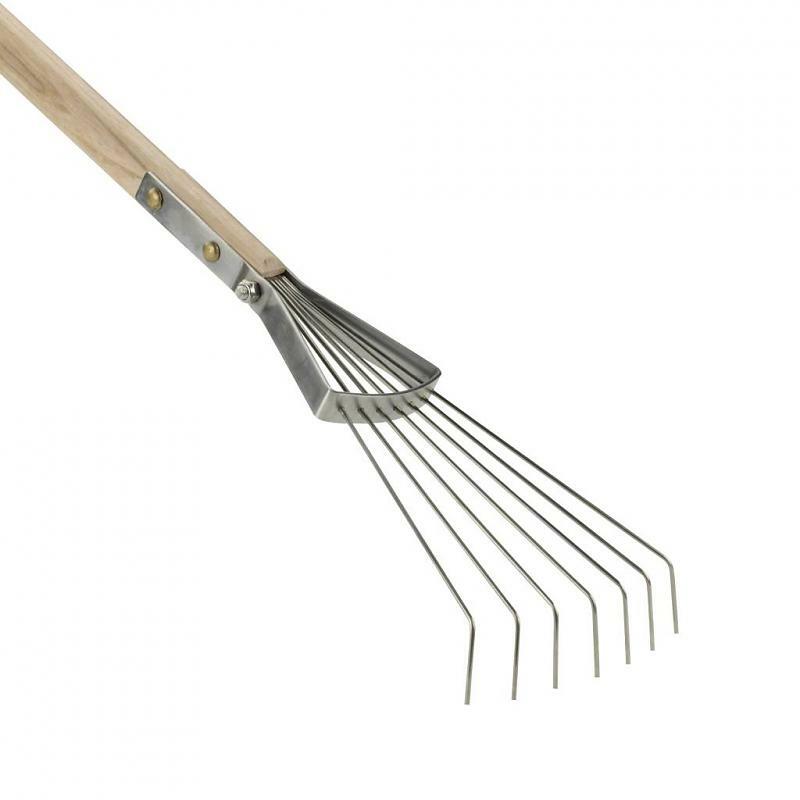 These are the sort of tools that will be hopefully handed down through generations, together with a love of gardening.